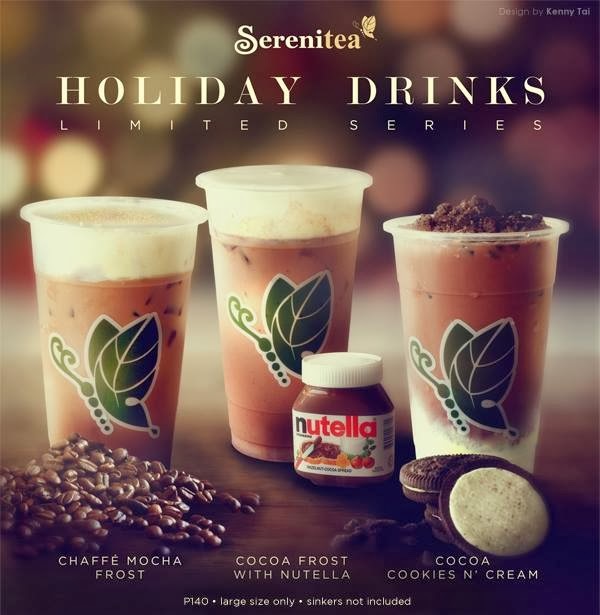 The holiday came early to Srenitea as they unveiled their very special drinks last Christmas season. Serenitea three exciting flavors--Cocoa Frost with Nutella, Chaffe Mocha Frost and Cocoa Cookies and Cream fr a limited time only. So yeah, I had my Cocoa Frost with Nutella drink. :) Oooooh, it was heaven sent! For those who are wondering, like what's said at the poster just above, these drinks go for large sizes only. So, you'll defiinitely enjoy this much-loved drink! The froth just from above makes it more delicious! The drink itself was just too good to be true. Swear! If you are also a great Nutella consumer, you really gotta get yours if they're still offering it! As I drink it, I can taste the Nutella! There are actual Nutella residues below and it makes this drink more fun to drink. Hahaha! I definitely love Nutella. 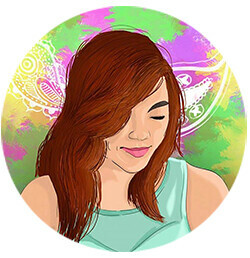 Happy 2014 ahead of you guys, by the way!